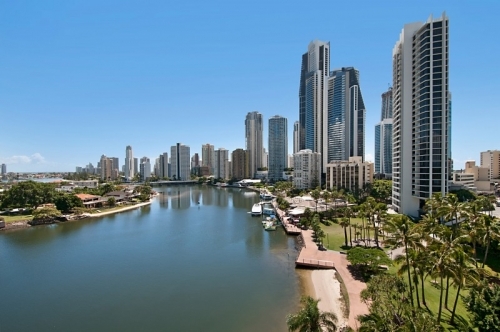 Located right on the river, Panorama Tower has the best location in Surfers Paradise. Only five minutes walk from the centre of town and seven minutes walk to the beach, Panorama Tower is right in the heart of it all. 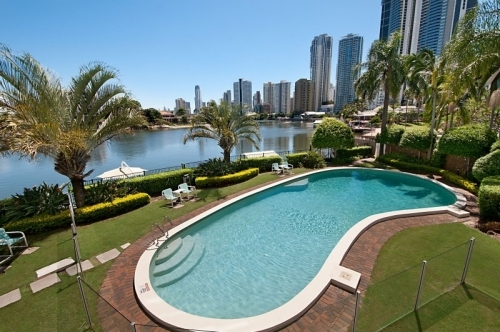 Even better, it is located down a quiet street away from the business of Surfers Paradise centre by night! 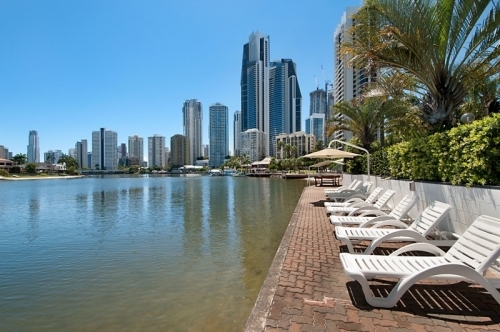 We have a fantastic ‘point’ location giving us probably the largest river-frontage of any building in Surfers Paradise which you can take full advantage of by relaxing on the private balcony of your 1 or 2 bedroom, fully self contained apartment, all of which have magical, north facing views! Our wonderful 3½ star building has a fantastic outdoor area including a heated pool, BBQ area right on the water and a private sun deck for sunbathing and fishing. It is also located right next to a public park with swings and play equipment for families to enjoy. Some come and stay with us at Panorama Tower. It surely is the best location for your holiday in paradise!